Two weeks ago Google releases the LG Nexus 5. I've had mine for little over a full week now, and I think I'm ready to give a full review of my thoughts and experiences of the Nexus 5. Without further ado, here's this Canadians review of the Nexus 5. 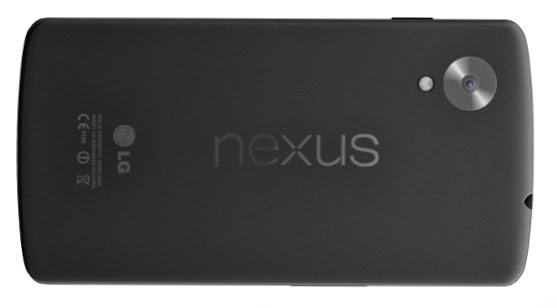 Physically the Nexus 5 looks like a smaller version of the Nexus 7 (2013), it even kinda feels the same. The camera placement is on the top left side of the back, which is pretty common, however it sticks off the device a little. This worried me from day one because the device will rest primarily on the camera and it's the first thing to make contact when placing it down on a desk. I fear this will lead to an easily scratched camera lens in the future for those who choose not to use cases. The Microphone and Speaker are located at the bottom of the device, exactly the same as the iPhone. One side is the speaker and the other side is the microphone. I would've much rather both sides be speakers for a more full and rich sounding device similar to the Nexus 7, but sadly this isn't the case. the LED is also found near the bottom of the device and it appears to be bigger and brighter than previous Nexus phones, which to me is a much welcomed change. I could talk lots about the physical design, so I'm just going to cut it short by saying that everything else is pretty much standard compared to other devices. Starting off with the screen quality of the Nexus 5. The first thing that captured my attention was the very bright and beautiful display. This large 5" screen with the help of Kitkat 4.4 making the homescreen with transparent boarders really helps you feel the absolute fullness of the display. The colors are spot on, and visibility in the outdoors is fantastic. However, the auto-brightness tends to be a little too high in many indoor situations, and this has a large impact on the battery. If the user feels the same way and it's too bright, it's easily managed manually via brightness control in the pull down notification toggle, or installing applications such as "Lux" to help tweak the auto brightness to more efficient levels. On to sound quality. I'm sad to report that sound quality is something the Nexus 5 falls short on. Maximum volume is far shorter than it should be, and quality of sound is tinny and lacking. However the equalizer that comes with the Nexus 5 can help aid this a little, but it's still not enough to make the sound truly enjoyable. If Google and LG made both speaker grills at the bottom actual speakers and not having one a microphone, this would not be an issue. Others are claiming the poor sound quality can be fix through software updates, but I personally have doubts. Camera quality is something that's becoming evermore demanding this past year. People are expecting the best camera experience of their lives, and even then they'll still find something to complain about. The camera on the Nexus 5 has improvements over the previous Nexus 4, but not by much. You can feel the image stabilization when taking pictures, people are confusing this as "Camera lag" when taking a picture. What some of these people are failing to recognize is the "lag" is actually your image being process with minimal blur. That aside... The pictures come out pretty crisp and clear, colors are very accurate, and yes the Nexus 5 does fair a little better in darker environments. However, it's not without its flaws. HDR+ is hit and miss, and the video recording tends to be slightly choppy at times rather than a perfectly smooth flow. The camera will get the job done, but don't expect it to blow your socks off. The first question to leave most people's mouths is, "How's the battery?" At first the battery was pretty terrible, my battery was reaching its zero point before the days end. I had to remind myself that it's a new phone and I'm spending a lot more time on it than I normally would, not to mention all the syncing of data and apps being loaded all at once behind the scenes. After a full weeks use, the battery is on the average side. It's not going to last you two to three days like everyone wants, but when it comes to battery life, no one is ever really happy. The Nexus 5 will easily last a full day after the system has had time to settle down, and I average about 4 hours of screen time while using the stock auto brightness settings. Decent battery life, but you'll be charging nightly for sure. The Nexus 5 is a very fast and snappy device. I've been using it for an entire week without the slightest bit of lag. Of course you'll have to forgive your device in the first 30 minutes of its life, and it's syncing and loading everything in the background. I'm not going to get in to benchmark scores and nonsense like that, but in real world conditions and usage, this device sits on the top shelf next to its leading competitors. I've been playing around with Google's newly release ART file system or Runtime which can be found in your ( Settings > Developer options > Select runtime ) and I can tell you without a shadow of a doubt it's clearly faster and yes, it saves battery as well. Your screen will still draw as much battery as it did before, but the overall system will use less due to less strain from ART. That being said, ART is experimental and in early stages and that's why it's found in Developer options. Using ART will cause some compatibility issues with some 3rd party apps you'll download on the Google Play Store, but I personally haven't come across any that cause me grief. I highly recommend anyone using a Nexus 5 or a device running 4.4 to at least give it a try. There's no hard and you're easily able to switch back without any kind of data loss. KitKat 4.4 that comes with the Nexus 5 and other Nexus devices are just getting the OTAs is a wonderful upgrade. Visually it's similar at first glance, but you soon realize you're living inside Google Now's Search. So the moment you say "Okay Google..." or touch the search button, it pops up instantly. Not to mention the Google Now cards are always waiting. No more loading and waiting to get a fix on your location or internet. Screen is amazing, auto-brightness needs tweaking though. Sound Quality is lacking, however it'll get the job done. Camera is an improvement from previous generations, but only by a little. Battery life is average, easily lasts me a full day with power left over. Performance is outstanding. ART and Google's Light weight Operating system is a huge win. I've seen a lot of... less than impressed reviews about the Nexus 5. I personally think people are judging it too hard. Many people are comparing this $350 phone to the $700 Galaxy S4 or HTC One and expecting it to be a huge breakthrough. Truth of the matter is no Nexus has ever been ground breaking the last couple of years, they normally slide right in with the competition at half the price. Google's stock environment is something to be desired and with the new 4.4 OS it has gotten even better. The Nexus 5 is replacing the Moto X in my pocket for the moment, but only time will tell if it'll stays that way. For the sake of time, I not going to pick through every little aspect of this phone and make this review unnecessarily long. However, if you have any questions or something you'd like me to address here, feel free to leave comments down below and I'll try to get to all of them.